Students at Lovett continually assess and analyze their own data. Student conferencing is a core part of Lovett’s blended learning model, and they transition from teacher-led to student-led conferences as the year progresses. 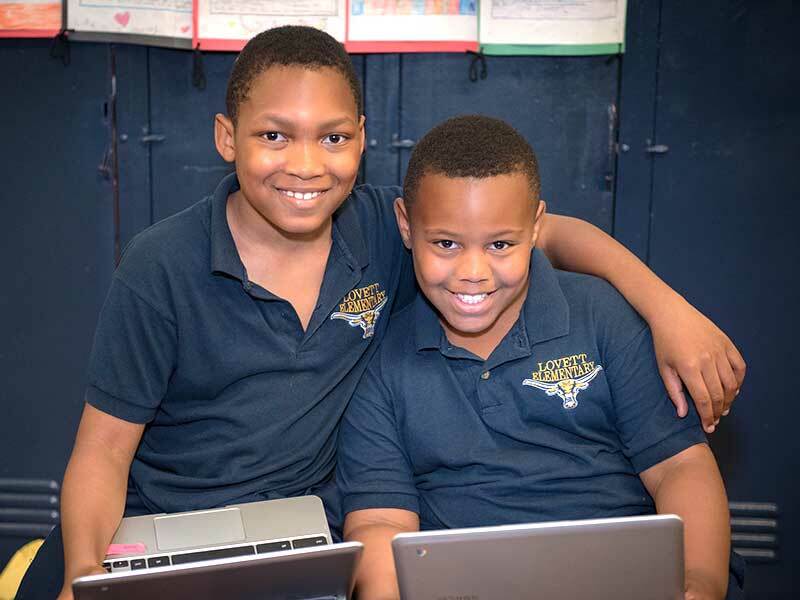 Lovett students have access to all of their data throughout the year and are provided with structures to help them think about their data and connect it to their learning goals. Reviews teacher provided data in advance of the conference. Prepares for data discussion by answering questions on Student Conference Sheet and possibly responding to prompts (if needed). Leads data discussion with teacher during student conference, covering progress and goals. Continues to monitor their own progress outside of conferences and adjusts their learning goals as needed. Models student-teacher data discussions at the beginning of the year. Provides students with data sources prior to conferences, including: NWEA scores, grades, and missing assignments. Provides response prompts to generate data discussions for students that need it. Reviews documents and data with students, allowing them to do most of the talking while ensuring a constructive conversation. Ensures students have continual access to all of their data, goals, and information so they can monitor their own progress and adjust accordingly. Provides shared documents for teachers and students to review together, including Student Conference Sheets and response prompts. Stores student data in Learner Profiles, enabling year-round access by students.